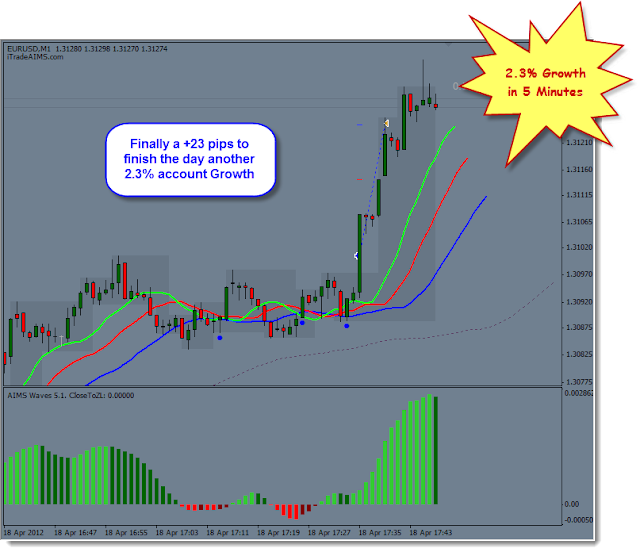 And to finish the day, another 2.3% 23 pips trade on EUR/USD Long on m1. IT has been a splendid day. I say Thank You Thank You Thank You.